Neil Bourne is by training a physical scientist, by inclination a communicator, and always a champion for both his specialist areas and the wider fields of safety that they serve. He has extended his expertise over recent years into the areas of risk, occupational health and workplace stress, working within universities and government as an educator, an advisor and now as the leader, of National and International Institutes in Health and Safety and National Facilities research using X rays, neutrons, lasers and supercomputing. He obtained his degree, masters, PhD and ScD in Natural Sciences (Physics) at the University of Cambridge, was elected to fellowships (and served as Director of Studies for Natural Sciences) at Magdalene and Clare Hall Colleges, and established the first Shock Science facilities in the UK. Since leaving the Cavendish Laboratory he has held chairs and visiting chairs at the University of Manchester, Imperial College London, Cranfield University and has associations with many national laboratories and universities internationally. He has published nearly 400 papers, commentaries and reviews in publications from the British Journal of Surgery to Nature Physics, and a book uniting the physical and engineering science of matter in extremes. He has been elected a Fellow of the American Physical Society and chaired its International Division devoted to Extreme Physics. He also holds fellowships from the Institute of Physics, the Institute of Materials, is a Chartered Engineer and a Principal Fellow of the Higher Education Academy, championing experiential pedagogy across his core areas of work. He has received many awards including the Paul A. Siple Memorial Medal for Achievement in the US. He is an editor of the Journal of Dynamic Behaviour of Materials and is in the process of founding a new journal, Safety in Extreme Environments; People, Risk and Security. Over the last decade he has worked within government to regenerate university research and break down boundaries in critical priority areas. In this role, as Distinguished Scientist, he was UK Technical Authority in Shock and Detonation and worked to train a new workforce for the nuclear sectors. During this period he worked at Los Alamos National Laboratory in the US, with which is still actively working and to which he returns every year. Since returning to academia he has established, launched, and is the inaugural director of the University of Manchester at Harwell, uniting UoM, the Diamond Light Source (DLS), The Science and Technology Facilities Council (STFC) and the Research Complex at Harwell (RCaH), a portal to the wider Harwell Campus. 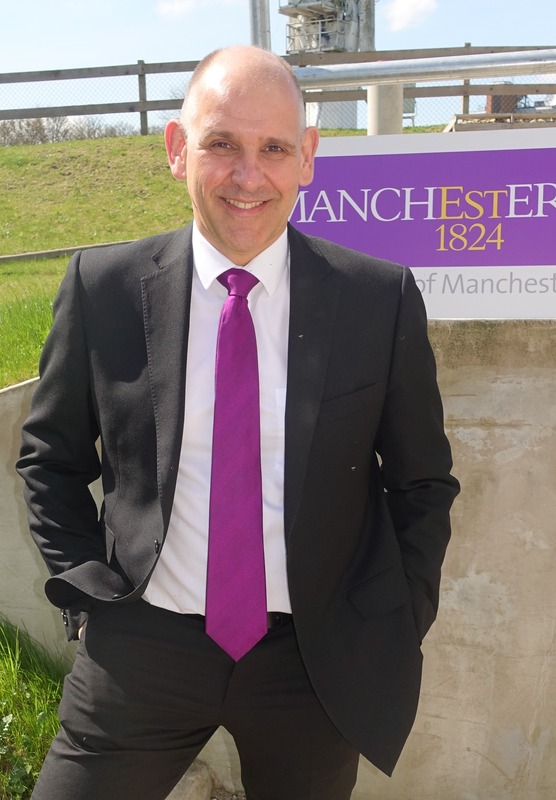 He also is the inaugural UoM director of The Thomas Ashton Institute, partnering the University and the Health and Safety Executive, that aims to deliver research, learning and regulatory insight to enable a better working world. Across these areas Neil leads a team of physical scientists, engineers, medics, psychologists, clinicians and risk analysts working to reduce accident in work and generate impactful, world-class research. He still pursues study into the responses of matter under demanding or extreme conditions of loading (mechanical, chemical, radiation or extreme temperatures), investigating the operating mechanisms that define response across scales from atoms to planets, and serves on panels assuring national science and on industrial boards advising on their research areas. These include the Science Engineering and Evidence Assurance Committee of the HSE board, advisory committees on energetic materials and extreme events for the reinsurance sector amongst others. http://www.cambridge.org/mechanicalextremes '…intense and highly original…' The Aeronautical Journal. Bourne, N.K. (2017) Atomistic views of deformation, Nature, 550, 7677, 461-463. Bourne, N.K. (2016) Unexpected Twins, Physics, 9, 19.